So here are 5 more types of players in Star Wars Battlefront 2! Have you ever found yourself in a position where your team is getting slaughtered, and then said to one of your friends, hey man, we should try go around. Follow me. The flanker is the type of player that’s always trying to outsmart the enemy team. They tip toe and sprint their way around the edges of the battlefield, trying to attack the enemy from where they least expect. These types of players always work best in small units or squads, big enough to have an impact, but small enough to go unnoticed. Only problem is, when they do get noticed, they are usually brutally killed in a messy skirmish. However when their flanking plan works, they can make a huge impact on taking an objective, and can change the course of the match. 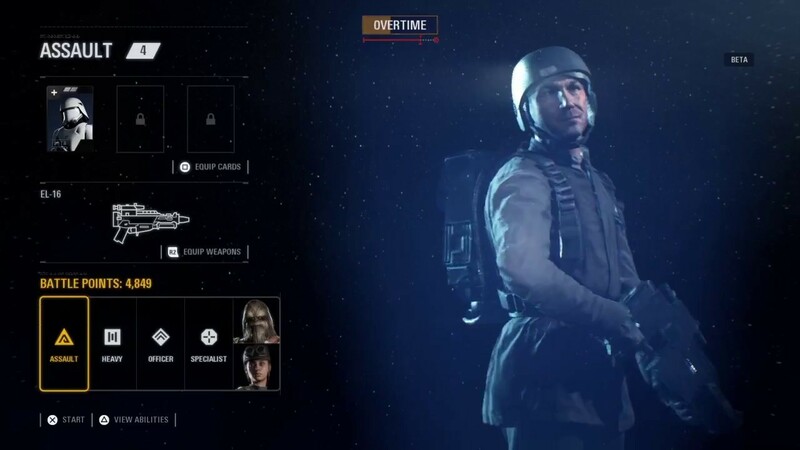 Why would you play as a simple low life foot soldier when you can patiently wait here on the menu screen for a vehicle or hero to become available? The menu man always fancies his chances of unlocking that hero or vehicle they’ve been desperate for ever since they inserted their game disk. Sure they might play the first 5 minutes of the match, but once they’ve accumulated just enough battle points, they’ll sit, hopefully patiently, waiting, waiting, for a hero or vehicle that probably won’t become available for another 5 minutes. But why does it always feel like a lifetime of waiting? When you Google the definition of sniper, it reads ‘a person who shoots from a hiding place, especially accurately and at long range.’ Well, the aggressive sniper basically just removed ‘hiding place’ and ‘at long range’ from this definition, but hopefully retained the ‘accurately’ part. Aggressive snipers play as the specialist class, equiping a sniper, but then pretend they equiped a shotgun instead. 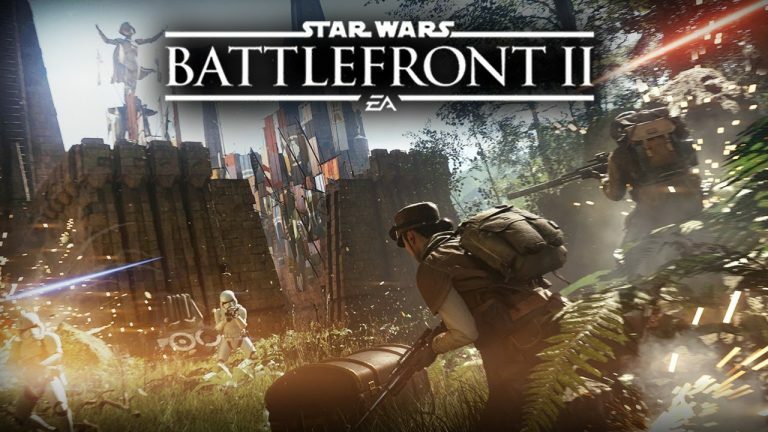 They force their way to the front line of the battlefront and use their sniper rifle to pick off enemies from close range. If they miss their shots, you’ll probably see them frantically rolling from side to side as if they’re trying to put out a fire burning through their armour. When they make their shots though, they can be deadly. 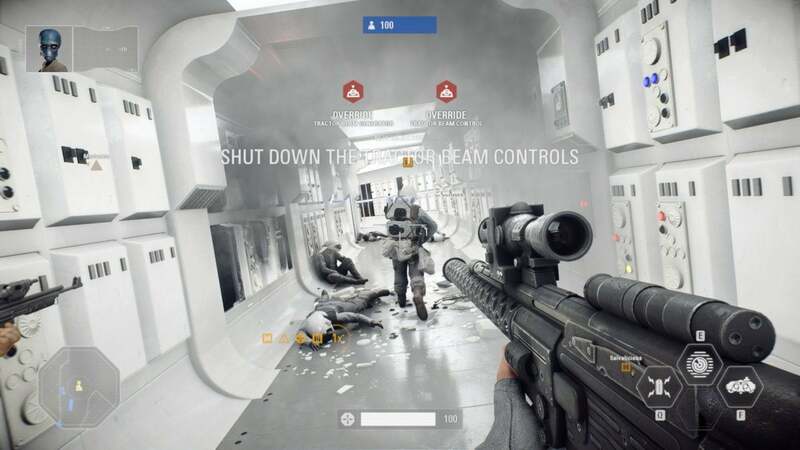 This is one of the smartest types of players on the Battlefront. They understand the game. They understand the situation. And they understand how they have to play to get their team to victory. Otherwise known as the all rounder, or in tennis terms the all court player, the adapter changes their loadout, class selection, and gear based on the situation of the match. 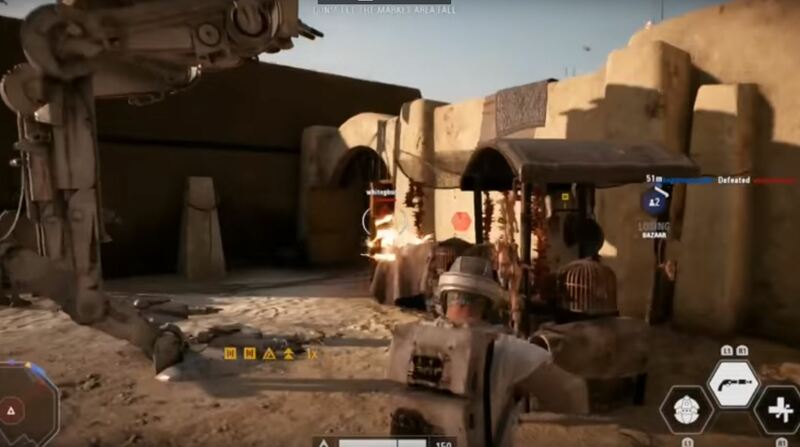 These types of players may switch between all four classes in a single match, because they understand how to use each class for a different stage of the battle, or different section of the map. 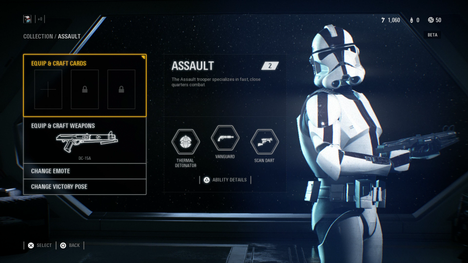 They are decisive, calculated, and will take every chance they get to select the right class or hero or vehicle based on their abilities, for the right situation. I’ve always wanted to be this type of player. But I’m more like another player I’ll get to in a bit. Ok so you remember how the adapter switches between classes based on the situation of the battle. Well, the switcher does the same thing, but switches because usually, they’re failing at using their current class. They try to replicate the success of the adapter, but can only dream of having their skill level. They are indecisive, frustrated, and out skilled. They try to be good at the game. They want to be good at using the sniper, or the officer, but almost always end up switching back to the simple old assault. Point, shoot, throw grenade, repeat. Hey, it works. Sometimes.